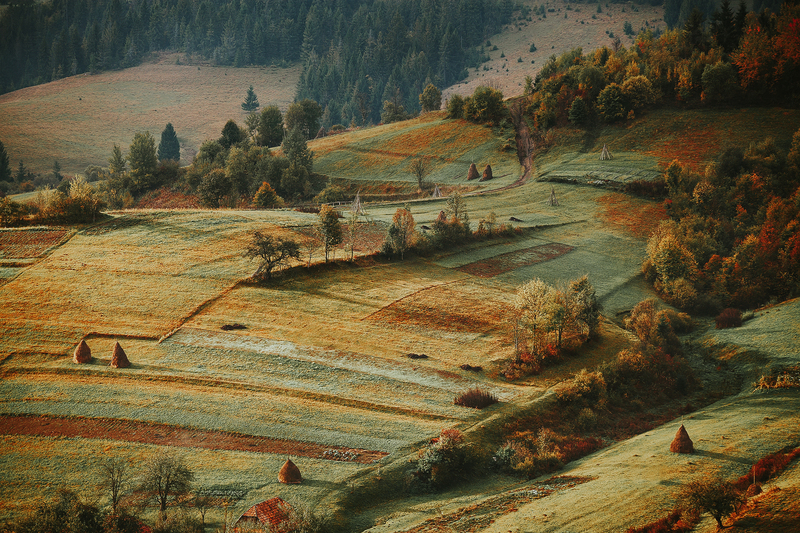 Autumn has finally arrived — in parts of the country, forests are beginning to transform into amber, crimson, and gold hues. Celebrate the arrival of Fall by picking your own fresh apples at these beautiful farms in the Missouri countryside. Many of the farms on our list also have amazing shops, which sell jams and jellies, fresh produce, candies, cider donuts, hard cider, and all kinds of signature fall treats. Also, discover rare and uncommon apple varieties growing throughout the Ozarks that you may have never tried before. 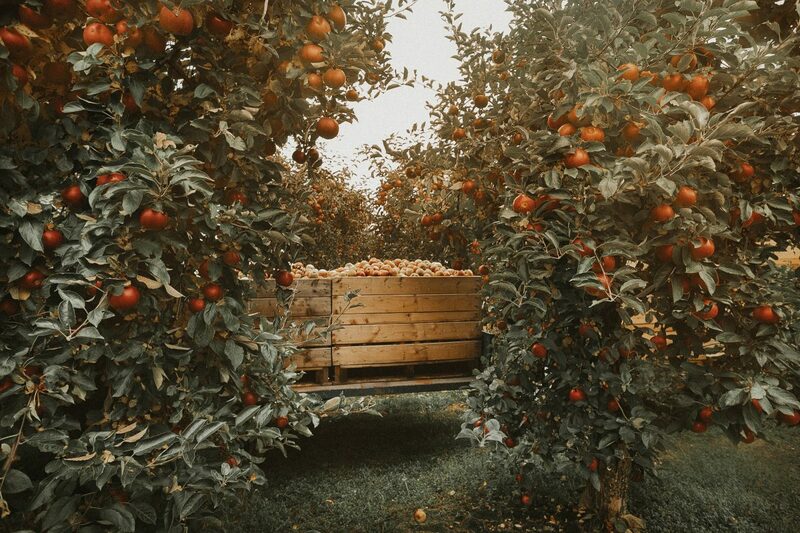 This well-loved orchard has been in operation for nearly 200 years, and it’s the perfect place for fruit picking, picnicking, and sightseeing in the historic city of Augusta, Missouri. 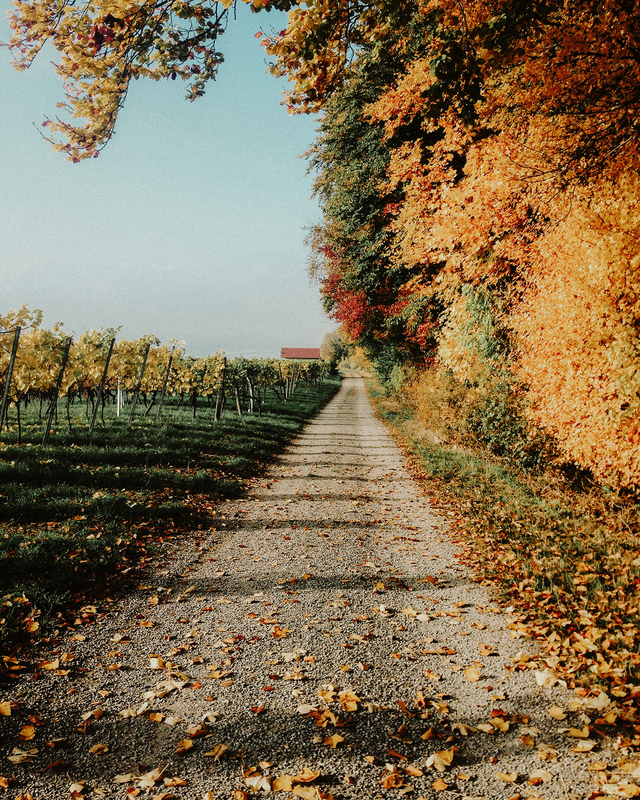 This beautiful orchard offers a variety of apples, pumpkins, and gourds in the fall, as well as fresh flowers to transform your home for the autumn equinox. Head to Thierbach Orchards in Autumn and you’ll find more than just apples ready to be picked. Here, you can pick pumpkins and peaches in August and September. Bring your family-the kids will enjoy the bounce houses and slide! For $5, kids can have unlimited access to the play area. Stop in the market for fresh apples, produce, jams, salsas, and more! The market is open every day of the week from 9:00 a.m.- 6 p.m.
You can pick your own apples on Saturdays and Sundays from 9:00 a.m.- 6 p.m. This Missouri farm has ample views of the countryside and excellent apple picking throughout September. Sunshine Valley Farm grows more than just apples, they also grow blueberries, blackberries, raspberries, peaches as well as a varied crop of vegetables throughout all four seasons! View their weekly apple picking schedule and updates here! It is the perfect destination to pick apples in Autumn, and is located only an hour away from Kansas City, Missouri. In Winter, take home a high quality real Christmas tree. Choose from a variety of trees including White Pine and Scotch Pine fields where you can choose and cut your own tree down. Schweizer Orchards also provides hayrides on the weekends. Warm up inside with hot apple cider or hot cocoa while they shake, wrap, drill, and load your tree. This farm has an impressive selection of fresh produce including pumpkins, apples, peaches, squash, fresh eggs, and more. Once you’ve filled your basket, check out the hay rides and beautiful perennial grasses and autumn flowers for sale! From serene ancient mountains to lush oak forests, the Ozarks offers an unparalleled beauty unlike anywhere else in the country. 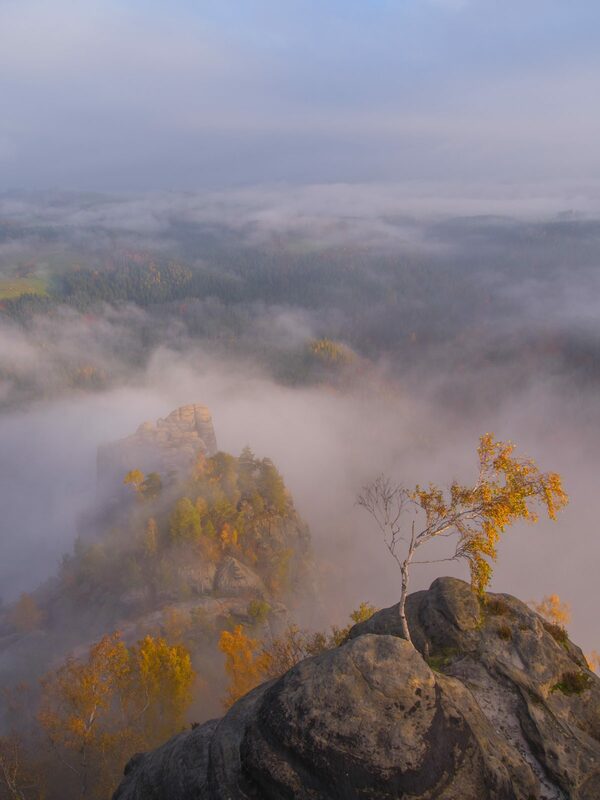 These trails offer some spectacular views of the changing leaf color, and capture the beauty of the autumn season. Lost Valley Trail leaves the parking area and gently winds up the box canyon passing beneath groves of American beech trees. The trail leads you to an turquoise-blue pool of water with an 8-ft waterfall flowing out of a small opening in the bluff, known as the Natural Bridge. The gem of the hike is Eden Falls. The picturesque Eden Falls cascades 53 ft over towering cliffs offering visitors a firsthand view of what the Ozark Mountains have to offer. Radiant with wildflowers, and a waterfall in spring, and then graced with the crimson and amber foliage of turning maple leaves in the fall, this trail winds through some of the most beautiful scenery in the state. North Rim Trail, Mount Magazine State Park is a 4.2 mile moderately trafficked loop trail located near Paris, Arkansas. The trail is primarily used for hiking, nature trips, and birding and is accessible year-round. It leads through hardwood forests, scrub oaks, and cedar glades across several tumbling creeks. 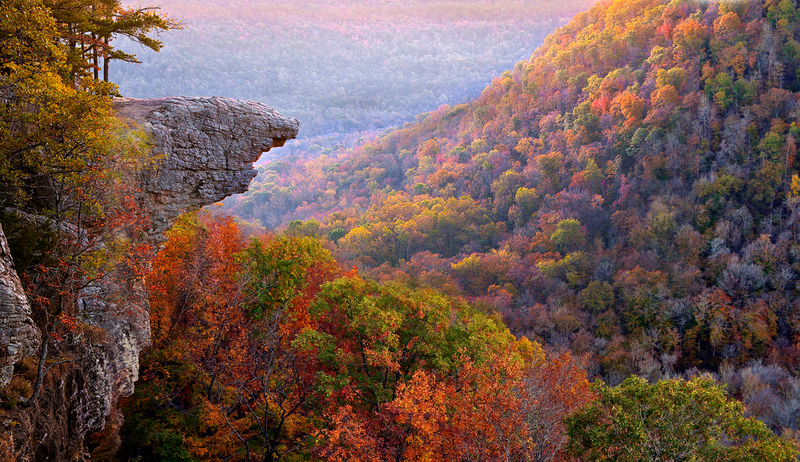 Windswept bluffs overlook a rugged hollow, the Arkansas River Valley and the Ozark Plateau. One of the most famous and unique waterfalls in Arkansas is the Glory Hole. The waterfall is formed by a stream that flows through the ceiling of an overhang cave. The trail to the Glory Hole is in the Ozark National Forest off highway 16 east just under 6 miles from Fallsville, or alternately 2 miles west of Edwards Junction. Hemmed in Hollow Trail is a 6.1 mile moderately trafficked out and back trail located near Compton, Arkansas that features a waterfall and is only recommended for experienced adventurers. This trail features a spectacular piece of nature, the tallest waterfall in Mid-America. Devil’s Den State Park is nestled deep in Lee Creek Valley, a picturesque setting in northwest Arkansas’s Ozarks Mountains, ancient sedimentary mountains renowned for their natural beauty and lush oak-hickory forest. Yellow Rock Trail is a 2.7 mile heavily trafficked loop trail located near West Fork, Arkansas that features a great forest setting and is rated as moderate. The trail is primarily used for hiking, walking, camping, fishing, and horses and is accessible year-round. Dogs are also able to use this trail but must be kept on leash.